Live Stream – Podcast, House Music Downloads & Mixes, all new Rare Traxx. 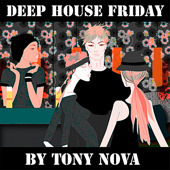 It’s House Music Friday here @ dancedance.com. Stream live House Music right here.